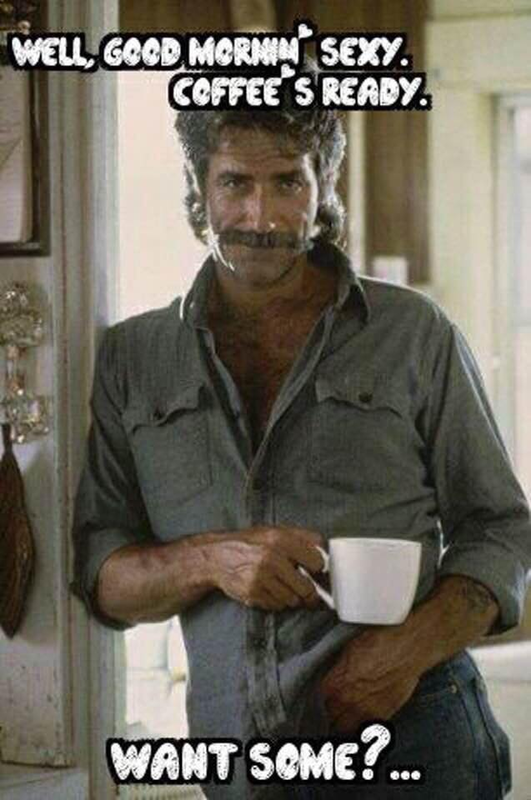 I wouldn’t mind waking up to Sam Elliott offering me a fresh cup of liquid gold first thing in the morning! What a way to start the day, am I, right ladies??? Happy Sunday morning to you All! Photo Courtesy of Pinterest, God Bless them! I can’t help but wonder how the coffee would interact with the moustache! Nope!! He is like a fine wine/cheese… improves with time.